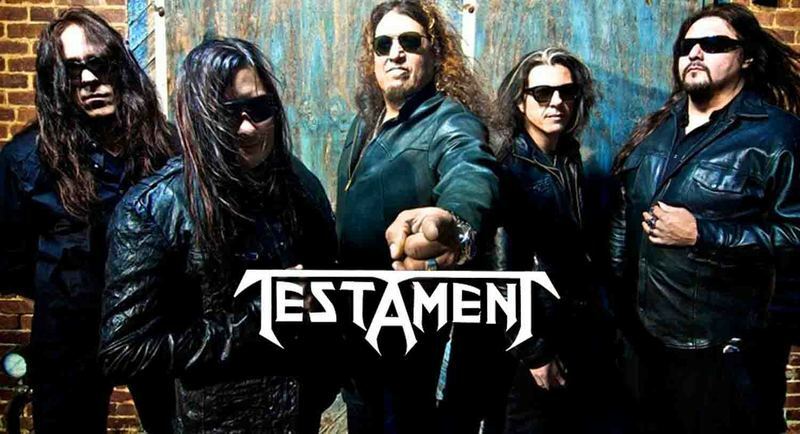 Testament was one of the first thrash metal bands to emerge from the San Francisco Bay Area in the 1980's. Originally formed as 'Legacy' in 1983 by founding members Eric Peterson (rhythm guitar), Derrick Ramirez (guitar) and Louie Clemente (drums), the line-up included vocalist Steve Souza and Greg Christian (bass). Ramirez was later replaced by wunderkind Alex Skolnick (lead guitar). 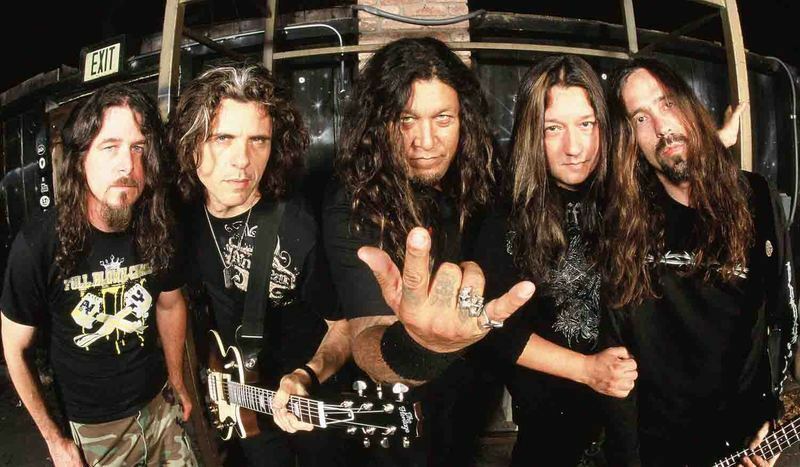 Souza soon departed to join Exodus and suggested that the towering Chuck Billy take over as frontman. The band became known as 'Testament' 3 years later, while recording their debut album in Ithaca, New York. 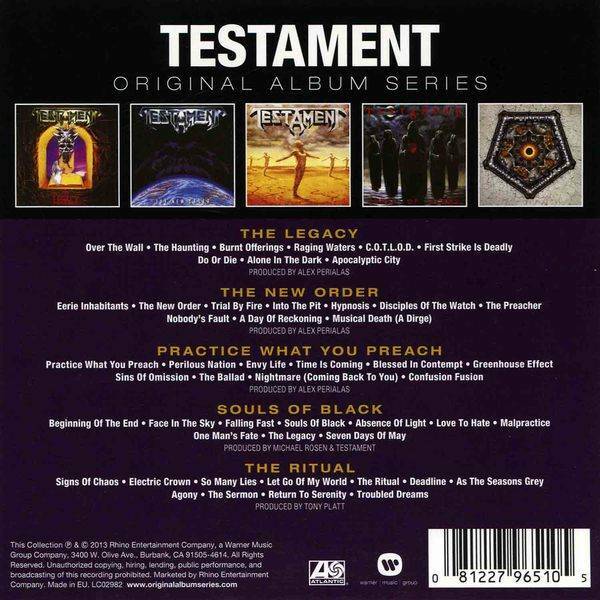 "The Legacy" was a brutal intro in 1987, putting Testament at the forefront of the flourishing thrash metal scene. Following "Live At Eindhoven", an EP recorded at Holland's Dynamo Festival, "The New Order" in 1988 was well received producing one of the band's most memorable classics "Disciples Of The Watch". Next came the highly successful "Practice What You Preach" in 1989, then the release of "Souls Of Black" in 1990, coinciding with the European 'Clash Of The Titans' tour with Slayer, Megadeth and Suicidal Tendencies.After "The Ritual" in 1992, Skolnick, whose musical tastes weren't limited to metal, departed the band and went on to become a respected jazz guitarist. Clemente also departed. "Return To Apocalyptic City" in 1993 brought Glen Alvelais (guitar, ex- Forbidden) into the fold, and filling in temporarily for Clemente, Paul Bostaph (ex- Forbidden, Slayer). James Murphy (ex- Death, Obituary, Disincarnate, Cancer) soon stepped in for Alvelais on lead duties for "Low" in 1994, as John Tempesta (ex- Exodus) took over on the drums. Tempesta later left to join White Zombie, and was replaced by John Dette (ex- Evil Dead ). "Live At The Fillmore" was released in 1995, then Dette left in 1996 to join Slayer. 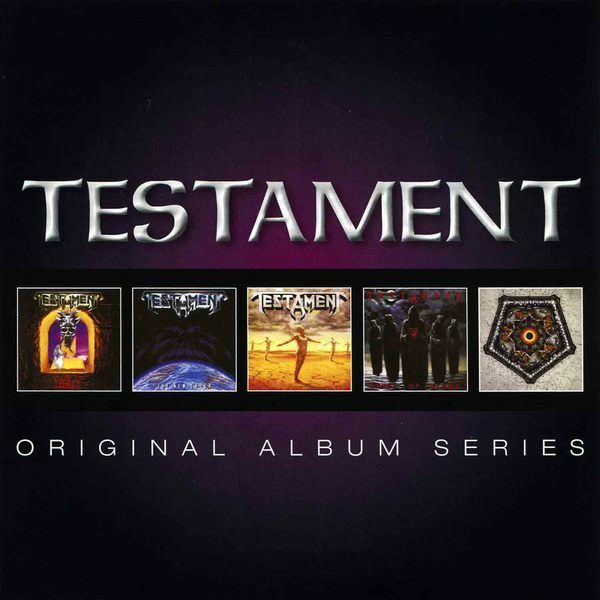 "The Best Of Testament" was released in 1996. "Demonic", which was recorded in Testament's Driftwood Studios, was released in 1997. James Murphy and Greg Christian having left the band were replaced by alumni Glen Alvelais and Derrick Ramirez (bass). Gene Hoglan (drums, ex- Death, Dark Angel) lent his percussion talents. "Signs Of Chaos", a 'best of' disc of the band, was released in 1997.Dave Lombardo (ex- Slayer, Grip, Inc.) was officially introduced into the band. James Murphy was brought back once again, and on bass, the legendary Steve DiGiorgio (ex- Death, Control Denied, Sadus). "The Gathering" was born in 1999. James Murphy abruptly departed, which was determined later for reasons due to a serious illness. Steve Smyth (ex-Vicious Rumors) jumped aboard as 'touring guitarist', later to be invited to stay on as a permanent member. Lombardo soon also left, not being able to commit, having other projects on his plate. In 2000, Jon Allen (drums, ex- Sadus) joined the band.After the successful "Riding The Snake" world tour to promote "The Gathering", vocalist Billy was diagnosed with a rare form of cancer called 'germ cell seminoma' in March 2001. Despite his illness and grueling cancer treatments, Billy offered his ground shaking vocals to the re-recording of Testament classics on "First Strike Still Deadly" with a reunion of sorts, bringing back Alex Skolnick and John Tempesta to record on the disc.Billy has since fully recovered. A busy touring schedule of the U.S. and Europe commenced in late 2002, through the summer of 2003. In 2004, guitarist Steve Smyth left the band to join Nevermore, and "Metal Mike" Chlasciak stepped in. The Original Album Series box set is a bare-bones collection of the first five Testament albums – 1987’s The Legacy, 1988’s The New Order, 1989’s Practice What You Preach, 1990’s Souls of Black and 1992’s The Ritual. The discs have been repressed (i.e. the faces look different from the original releases), but have not been remastered. Nor do they contain any bonus material. Each disc comes in a thin cardboard sleeve, and all five are stored in an even thinner cardboard box that’s not much bigger on the shelf than the average CD jewel case.While this set may be a disappointment to collectors, the Original Album Series is a fantastic set for those who either never got these discs the first time around, or who only have one or two and are looking to complete a collection. Say what you will about the sound quality or packaging; it’s hard to beat getting five classic Bay Area thrash albums for roughly twenty bucks. If nothing else, this is the perfect introduction to Testament. 1983 was a huge year for Metal, METALLICA released their debut "KIll 'Em All", MERCYFUL FATE released their debut "Melissa", and California gave birth to yet another soon to be Thrash legend TESTAMENT (at the time known as LEGACY). The band released their debut "The Legacy" back in 1987, and here we are, 30 years after their formation and 10 studio albums later, the band are being praised for their recent releases more than any that came before, and why not? 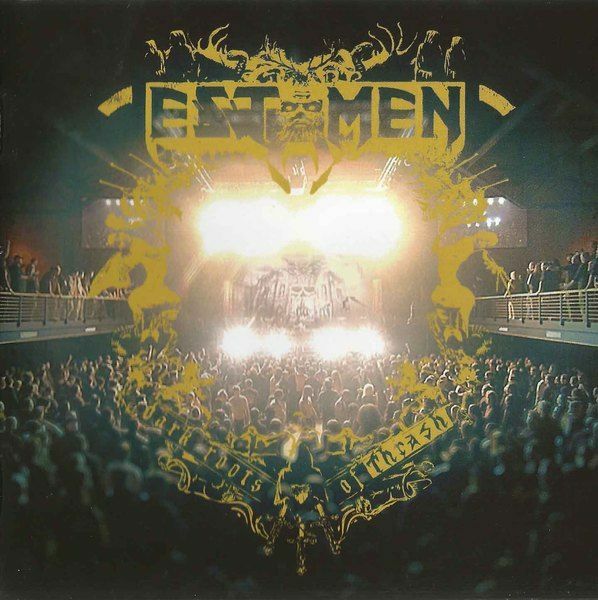 TESTAMENT is a proven Thrash Metal beast. After the release of their latest studio album "The Dark Roots of Earth" last year, the band is back with a DVD/2 CD live album.I should mention out front, this review is only of the audio portion of the release, not the DVD. 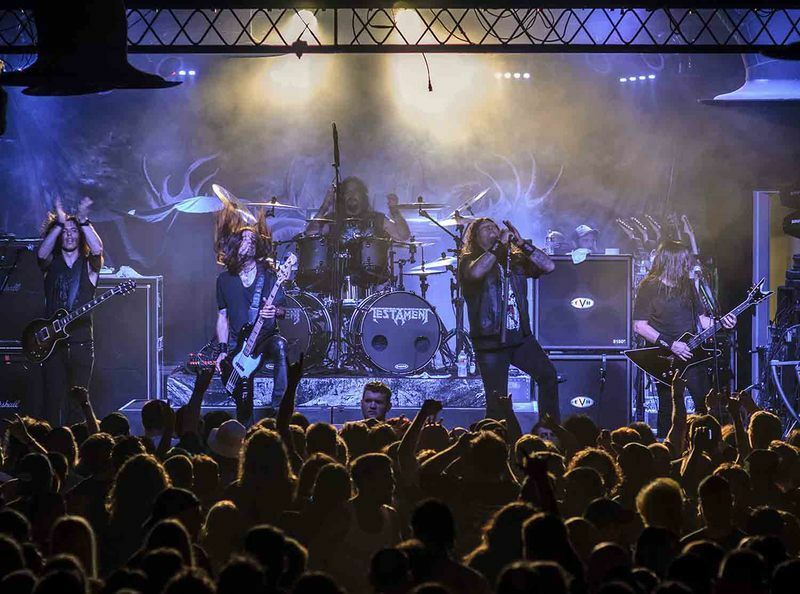 It's obvious from the very first listen that there's a very good reason why the band’s latest releases have been so well received, 30 years into their career Chuck Billy and the boys seem as fresh as ever. The release features a fantastic mix taking material from much of their career starting from their debut album (“Over the Wall”) and to their latest release (“Rise Up”). "More than Meets the Eye" gets a tremendous rendition. "Burnt Offerings" is a personal favorite and "The New Order" sounds as awesome as ever. I've unfortunately never had the chance to see the band live, but if this is any indication of what it feels like I'll be jumping at the first chance I get. 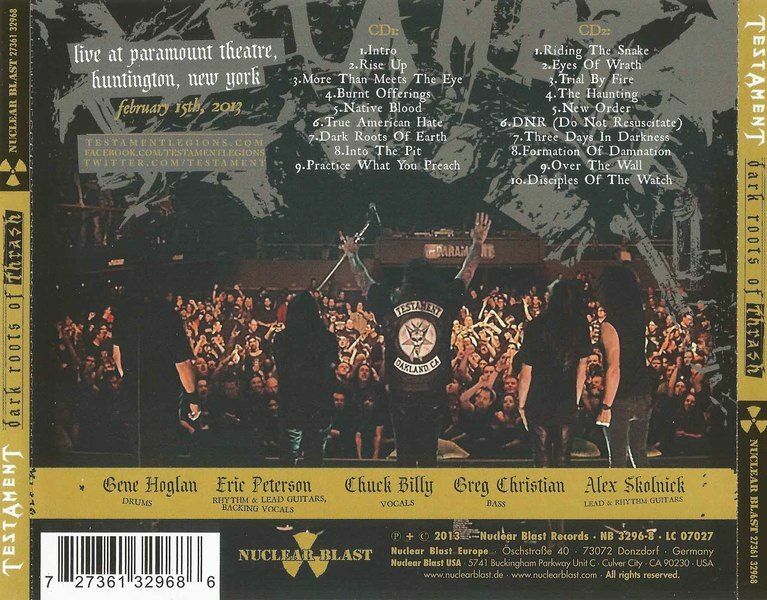 If you wanna get your hands on some old school thrash combined with a fantastic live experience without leaving your house, this is the album for you.Too bad nothing from "Demonic" is featured, but that's a minor issue (since I’m one of the few who actually liked it, probably cause it was the first I’ve ever heard), all in all, a great live album from a fantastic band.